Mama Regina & Bapak*: "We chose to be Indonesian"
Staying with Mama Regina and her family was certainly a very great and unforgettable experience that I got through this year’s #IDWomen4Energy volunteering program. Mama Regina treated me like her son, sometimes she even said, "He is my first son," to her neighbor. It's because Mama has three children, her first son, Ardi, who is younger than me - he is still in the 3rd year of high school - so naturally I became her first children. 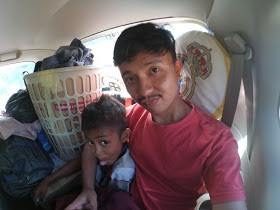 Mama also has a daughter and she is in the 2nd grade of junior high school right now, her name is Arni, and the last one is Andre, he is in the 3rd grade of elementary school. Mama is a science teacher in one of junior high school in Atambua, and her husband is a civil servant in Dinas Pekerjaan Umum as a Cleaning Coordinator in several areas like main streets and a few markets in Atambua. When I stayed in Mama Regina's home, there were also other relatives who stayed with us. 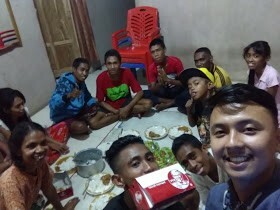 They were Bang Paul and Kak Erni, who are Mama Regina's nephew and niece, and also 4 students from vocational schools in Malaka (other regency in Timor) who had to do an internship in Atambua and stayed at her house. What a big, happy family. Around September 1999, Mama Regina and Bapak moved to Indonesia when Timor Leste decided to be an independent country. Due to the chaos and conflict at that time, they abruptly needed to move and escaped from the area, leaving all of their possessions behind - including their house - so when they arrived in Indonesia, they had to live with nothing. Mama told me that when she moved from Timor Leste, she joined with the others who also chose to be Indonesian, despite the bad situation. Indonesian government sent hundreds of Damri busses to evacuate people who chose to leave Timor Leste and remained to be Indonesian. They had to leave their home, their family, their friends. It was a very sad scene. "We left Dili, the capital of Timor Leste, along with thousands of Indonesian citizen, led by the head of Regional Chief of Police. Everyone cried at that time, including the Chief. 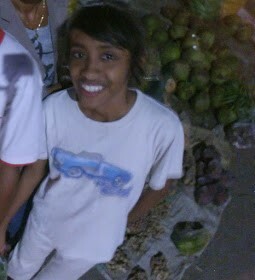 I felt like flying, because it was so surreal, I did not feel anything but sadness, when I had to leave Timor,” said Mama. 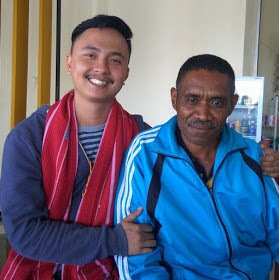 Mama left Timor and arrived in Atambua earlier than Bapak, after they got together, they decided to live in Kupang for a year and moved to Kefamenanu. They lived in Kefa for quite a few years - until September 2016 - before moving to Atambua, until now. 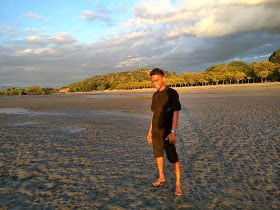 During the conflict, a lot of people were separated with their families because they were in different groups when they were evacuated from Timor. 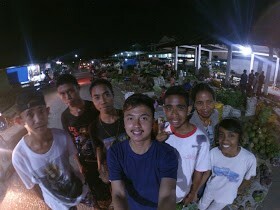 And at that time, people who came from Timor has a routine gathering once every week just to find their family members. The conflict was traumatizing for a lot of people, as well as Mama and Bapak. And apparently, it was tough on Bapak, who still has that big trauma until today. I did not know it until one night, when we were just finishing dinner together, suddenly Bapak changed. He threw a tantrum and scolded Mama for no reason. It was my first time seeing Bapak like that, usually he is a very cheerful person, but then Mama told me all about it. Sometimes Bapak got angry very quickly and became very sensitive, it’s because of the trauma. I felt so sorry to Mama that night. Mama told me too about the past, when Bapak condition was much worse that it is now. One time, Mama even had to lie just to get Bapak treated. She asked Bapak to accompany her to the hospital and showed him a paper that she was sick and had to go to the hospital, but actually they came to the hospital to treat Bapak. Mama did it because if she asked bapak to check his condition, Bapak will reject it, because he felt healthy. And finally, the doctor could say, "You look so tired, do you want to check up too, Sir?" the doctor said to Bapak. "Yeah, sometimes I feel pain in my back," Mama told me what Bapak said to the doctor at that time. "Oh I see, let me see (the doctor did the same check up) you also have to get special treatment from us, so you have to stay for several days like your wife. But you will stay in the men's room, and your wife will stay in women's room. Is it okay for you?" The doctor said. And finally the scenario work so well and they can get treatment for Bapak. Mama is patiently taking care of Bapak until now, even when many people said just to leave Bapak alone and abandon him. "I love him," said Mama to me. For now, Bapak is very healthy, but sometimes he still throws tantrum so suddenly :( They have to buy some medicine in Kefamenanu for Bapak, when this happens. Maybe, if you are a doctor in this field and in the future you want to come to Atambua, will you visit Mama Regina and Bapak for me? If someday I have the chance again, I want come and meet them again, just like I want to meet with my real parents at home. With Mama Regina's Family. I bought fried chicken for farewell dinner before I went back to Bandung. I wrote this story with her permission to write about Bapak. It's just one of the stories that we share during my stay in the #IDWomen4Energy volunteering program in Atambua. I will write again and tell you more stories about my experience about the #IDWomen4Energy program after this. Thank you for reading my story, don't forget to give your respond or comment below. 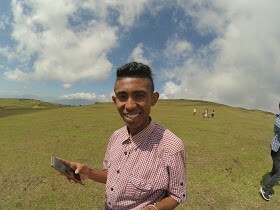 You can also follow my blog by click the blue button "Ikuti" on the right side in this blog. Mantap pisan bang Epul. Di tunggu cerita lainnya.